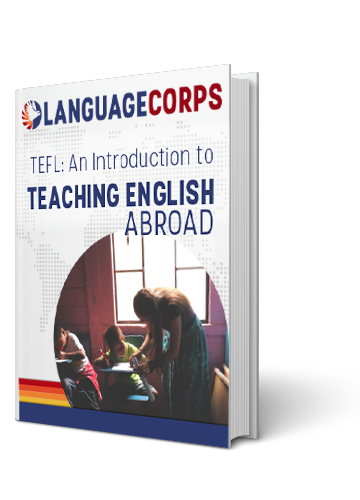 We at LanguageCorps love preparing people to go Teach English Abroad. You get to immerse yourself in a new culture, learn (or relearn!) a foreign language, get paid to travel, have access to lots of new cultural ideas, and you can build up your resume while you’re at it. An opportunity to teach English abroad widens your horizons while also helping you find out more about yourself, besides, teaching English is fun! Explore the Possibilities, but Choose a Country Carefully! You can teach English abroad almost anywhere you like, but not all country destinations are equal. With all the recent unrest in the Middle East and Africa, it would be wise to do extra research on the social and political conditions in any country where you hope to teach English abroad. While many countries are currently in the midst of government change, it’s always good to think about the other teaching opportunities abroad. There are plenty of great experiences whether you plan to teach English in Europe, in Asia, or in Latin America. In general, the security risks are lower in these countries, and the cultural and teaching experiences are just as rewarding. With placements in Cambodia, China, Taiwan, Thailand, and Vietnam, we think you’ll relish any opportunity to teach English in Asia. Your starting pay will likely be higher, and the economies of Asian countries tend to grow the fastest, especially since China has become the world’s next big consumer class. We see lots of jobs, and lots of English language courses that require English instructors- that could be you! Native English-speakers who choose to teach English in Asia are widely respected and honored among their students as well as their community. Many people who go teach English in Europe love the ancient and modern architecture and culture. It’s easy to get around, with open borders and robust train and transit systems in nearly all countries. Just make sure you plan 2 hours ahead if you’re traveling in Italy. Nothing there runs on time. Check out the Czech Republic, Greece, Hungary, Italy, Russia, Spain, or Turkey. These countries listed have proud traditions, and the people are usually more than happy to share their customs with those who teach English abroad in their country! If you’re looking for excitement, passion, and down-to-earth people, then choose to teach English in Latin America! You’ll enjoy tons of unique and palate-pleasing foods, learn all sorts of new dances, quite possibly become fanatical about soccer (futbol in Spanish! ), or participate in your first Dia de Los Muertos (Day of the Dead). Think Brazilian Carnival mixed with Mardi Gras and Halloween, and you may just get a hint of the fun in store for you! Whether you choose to teach English abroad in Asia, Europe, or Latin America, you’re going to have a great time, and you will fall in love with the people. In fact, your five month stay may just turn into a five year stay… or longer!